The more dependent on technology we have become the more important it is to make sure our devices are fully powered at Disney World and Disneyland. 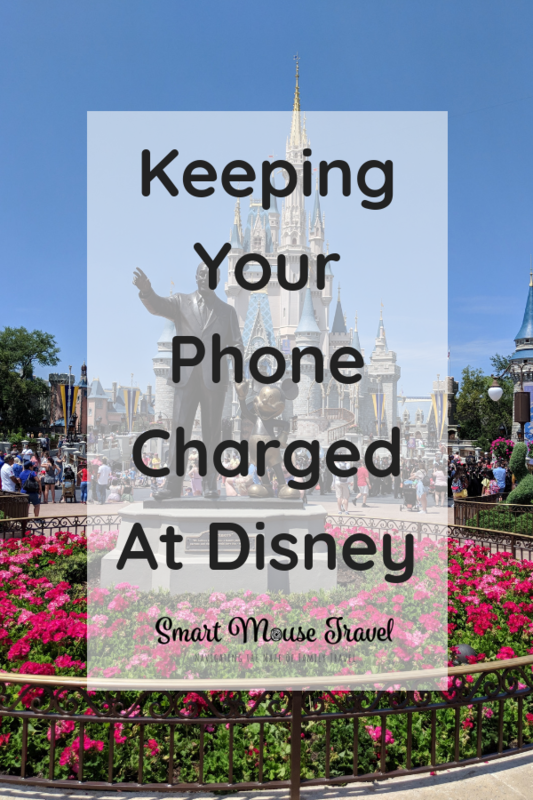 Keeping a full battery is no easy feat since our phones are our cameras, entertainment devices while waiting in line, and even queue skipping devices with FastPasses at Disney World or the MaxPass system at Disneyland. 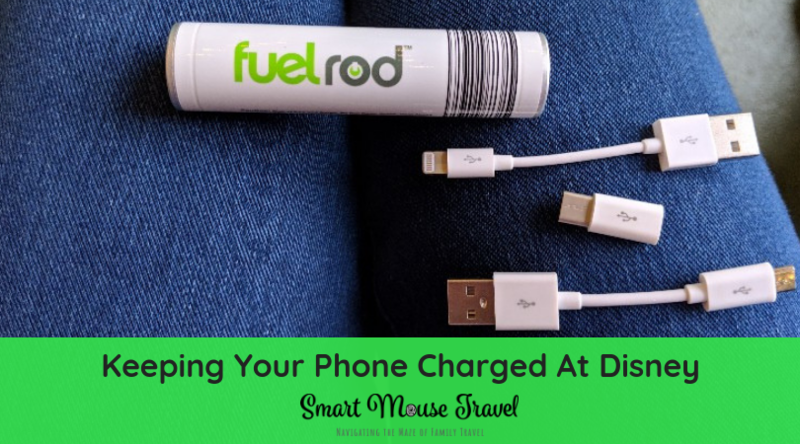 Fuel Rods are a way to keep your phone charged on the go at Disney World and Disneyland, but is a Disney Fuel Rod any good? 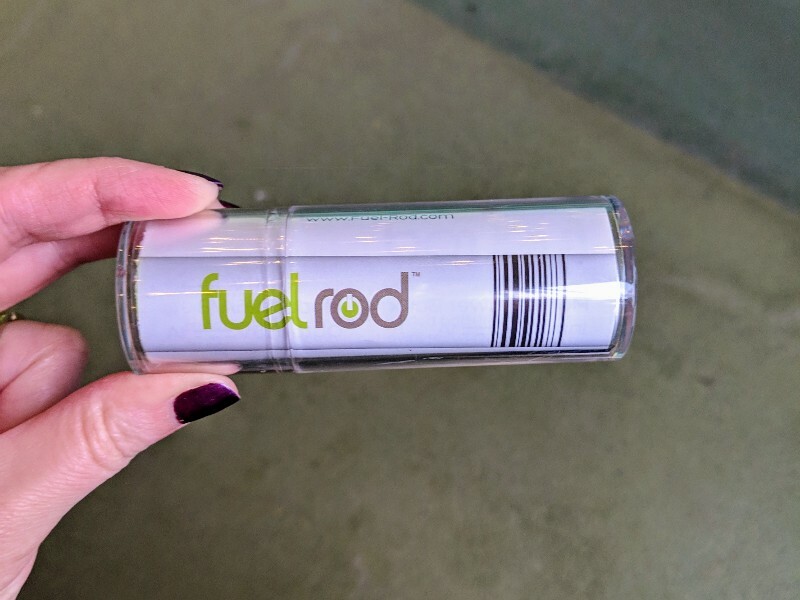 Fuel Rod is a company that has self-serve kiosks around the U.S. where you purchase fully charged external batteries. Disney Fuel Rod kiosks dispense a fully charged Fuel Rod and accessories needed to charge most mobile devices on the fly. After purchasing a Fuel Rod you can exchange a used one for a recharged Fuel Rod with no additional fees at the kiosks. Where Can I Find Fuel Rods at Disney? There are Disney Fuel Rod kiosks at several locations at Disney World and Disneyland. To find specific locations for Disney World check here and for Disneyland check here. How Much Does A Fuel Rod Cost? At a Disney Fuel Rod kiosk, a full kit is $30. This $30 kit contains a charged Fuel Rod, plus small charging cables for iPhones or micro-USB Android devices. The kit also contains an adapter to turn the micro-USB charger into a USB-C charger for newer Android devices. Use the touch screen on the Disney Fuel Rod kiosk to make your selection. Once you have made your selection, swipe your credit card and a full kit is dispensed. Do Fuel Rods Really Work? Yes and no. I got a Fuel Rod out of desperation at a Disney Fuel Rod kiosk when I accidentally broke my favorite external charger. We had spent the day at Epcot, but were heading directly to Disney’s Hollywood Studios Disney After Hours. I knew we didn’t have time to go back to the hotel and charge my phone. I figured buying a Fuel Rod was worth a shot in this situation. The Disney Fuel Rod kiosk purchase process was easy and did keep my phone working for the night. The Disney Fuel Rod kiosk saved me from having a dead phone battery for the Hollywood Studios Disney After Hours Event. Emergencies like this are the perfect time to use a Disney Fuel Rod kiosk. You can trade in your used Fuel Rod at any kiosk for a charged replacement. This replacement is provided at no additional fee. Just make sure you keep your cords, since the Fuel Rod is the only item that is replaced. You can recharge Fuel Rods with a cord. 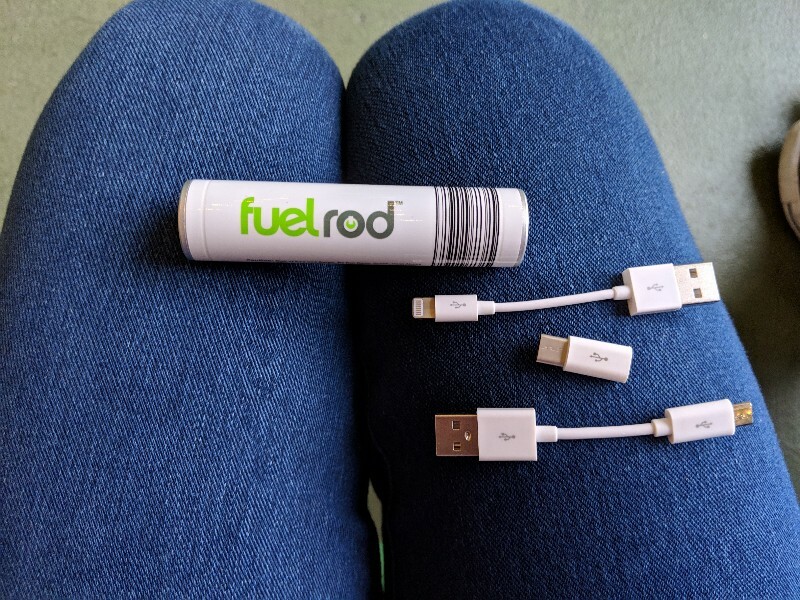 This way the Fuel Rod can act as your personal external battery everywhere, not just places that have Fuel Rod kiosks. Your Fuel Rod can be exchanged at locations throughout the United States. Fuel Rod stations are found at Disneyland, Disney World, and other places across the U.S. The Fuel Rod charged my phone very slowly. If I was using my phone at all the battery wouldn’t charge. My phone had to be unused and plugged into the Fuel Rod to gain any battery life. Another negative with the Fuel Rod is it got very hot when I attached the charger to my phone and left it in my backpack to charge. My favorite external battery happened to break on a very inconvenient day at Disney. The Disney Fuel Rod kiosk saved me from returning to a hotel room to charge my phone or having a dead battery at the parks. The convenience of Fuel Rod in this kind of situation is amazing. Unfortunately, the charging capabilities of Fuel Rod are not great. It charged far less effectively than my Anker external battery, which is less expensive. I ordered a replacement Anker battery (affiliate link: Buy on Amazon) and don’t really see myself using the Fuel Rod again. 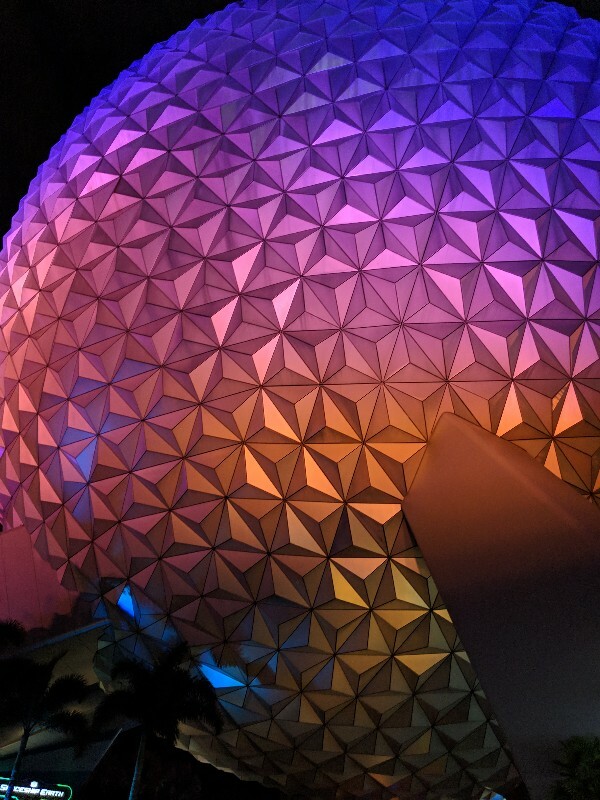 Planning a trip to Disney? Here are more resources for planning your successful Disneyland or Disney World vacation.